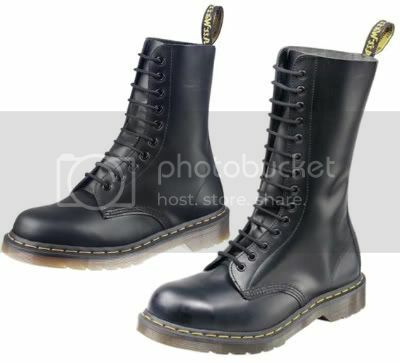 Doc's are dead brilliant, combat boots are dead brilliant. I was probably on the verge of losing my pinky toe because of the shoes I wear. I seriously needed something equally KUTE and comfortable to replace my regular babies. Then I discovered doc martens, atypical and interesting I still was not entirely sure. Until I saw Daisy Lowe sport them. Although a tad overrated as most teen fashion idols become, I like her. 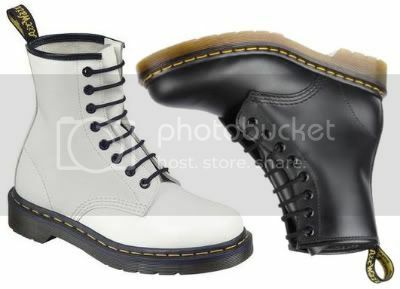 Um, back to Docs anyway as we all know Dr Martens have long been the penchant of skinheads and neo-nazis (although I do like the look). Thank god, we them brought back from their brink of extinction. As I see/call it, Doc's are a very controversial shoe. I've read many people call them "So ugly they're beautiful". and with that I leave you to decide.